iRiS Software Systems, the leading provider of guest facing hospitality technology have announced their partnership with SmartCon Solutions. SmartCon is an energy solutions provider focusing on occupancy based energy management systems, building automation systems optimization, In-Room and building technology implementations. SmartCon Solutions partners with clients to determine the most comprehensive energy management solution to help reduce energy costs, increase ENERGY STAR® rating and achieve LEED Certification by optimizing and maximizing energy efficiency. “We are happy to announce this new relationship and look forward to working together on some exciting upcoming projects. We feel our products are complimentary, making this a natural partnership for us and we look forward to growing our presence in the United States with them” said Daniel Iannucci, iRiS’s Business Development Manager for the Americas. Smartcon Solutions will act as iRiS resellers across the USA. 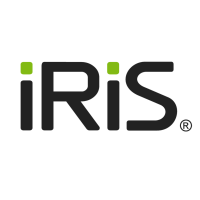 “iRiS Software Systems products provides us with another great solution offering for our clients. We are very excited with our new partnership with iRiS and look forward to implementing their products” said Dominick Calciano, Principal SmartCon Solutions. London-based iRiS Software Systems Ltd is an award-winning interactive guest services application creator, providing apps designed for hotels and restaurants. The iRiS applications are designed to improve the guest experience, increase revenues and reduce costs, improve communications between guests and staff and provide a smart marketing tool. Both tablet and mobile phone applications are available. SmartCon Solutions offers Occupancy Based room Controls, including Energy Management Thermostats, Lighting, Mobile Device and Automated Room Control systems for multiple building markets. SmartCon integrates with a wide variety of manufacturers and vendors to customize and match each customer with the ideal system to work within their timetable and budget.